Do you have a problem sending your #SMS or text message with your #Samsung Galaxy S7 (#GalaxyS7)? Read our post below to know the discussion about this problem and what the things to do to resolve these issues are. I will discuss in this post the possible causes of the errors and learn how to avoid them in the future. There are also recommended troubleshooting procedures you can follow on how to run your device in safe mode, how to uninstall a third party app, clearing system cache partition and even how to master reset your device. If ever you find this post because you are looking for solutions to other issues on your Samsung Galaxy S7, then try to visit our troubleshooting page, you can find solutions to problems we’ve already addressed. If you can’t find similar issues, then feel free to contact us by filling up this form accurately. Please provide more details in the description field so that we can provide accurate solutions or suggestions. Problem: IMS services has stopped. I have tried a restart in safe mode, no change. Don’t know what to do next. Please help msg keep coming on frequently and locks up the phone. Thank you for your assistance. Troubleshooting: Hi! Let’s go straight ahead to your issue. It’s a good thing that you have done running your device in safe mode, to determine the culprit. This mode will disable all the third party apps and run only in defaults, this is not a solution for the problem but only to try if the device is able to run smoothly while in this mode. Scroll to and find the recently installed app, then tap it. Once you’re done, you can then try using your messaging app and send a message to one of your friends. If the error message still occurs, you can proceed and clear the system cache, these are temporary files for frequently used app and data components to open them quickly. But, after an update, some of these old temporary files will cleared off and create a new one, uncleared old files can cause conflict and the device starts to crash and errors will appear. You can refer the steps below on how to clear the system cache. Your device will be able to send or receive a text message. Hopefully, we were able to help and fix the issue. Problem: When I text it gives me an error saying messages have stopped working. If the error message still occurs, then go ahead and clear cache and data your Messaging app. It will disable all temporary files and remove your email address if it sync to your Message app. You can refer the steps on how to do it above. Problem: I recently updated my iPhone to the latest iOS 10.1.1. Whenever I text my friend who has the Galaxy S7, his text app shows the following message “Unfortunately Messages has Stopped”. Please help. 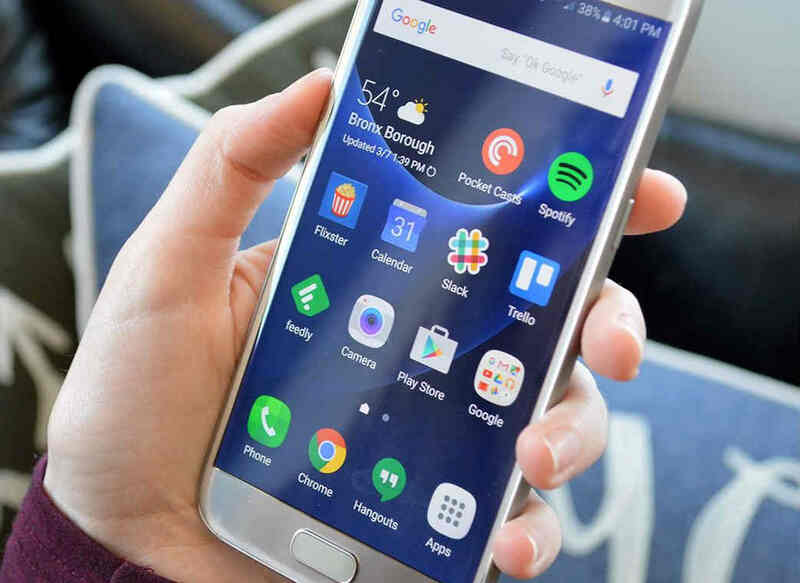 To determine if the issue caused by a third-party app, you need to run your Samsung Galaxy S7 in Safe mode, it will temporarily disable all the third-party apps installed. If the device run smoothly while in this mode, then try to launch the Messaging app to see if the error message still occurs. You can clear the cache and data of the Messaging app to see if the error message still occurs on your Samsung Galaxy S7. By doing so, it will delete somes files including the email used to sync with the messages but, regularly clearing the cache and data can improve the device’s performance. You can try downloading another messaging app through Google Play Store and install it while you’re having this problem. This is one way to determine if there’s a problem with the default messaging app, you need to send an SMS or text message if the error occurs while using this app. It also serves as a workaround so that you can continue sending or receiving text messages without being greeted by the same error. If there’s no error message while using the other app, then you can go ahead and proceed to the next step. Visit the nearest Samsung service center and bring the device and let the tech to have a look at the device. It may be experiencing a hardware issue that needed a professional care.